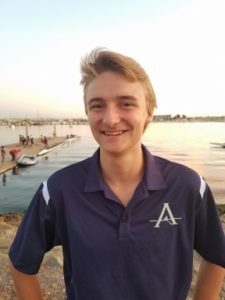 Joe Wainwright joined Artemis Rowing Club in 2016 as the varsity men’s and women’s head coach. In 2017, the Artemis Varsity Men took a bronze in the single at Southwest Regionals, and went on to finish 12th at Youth Nationals. The varsity women’s pair raced their way to a bronze at Southwest Regionals, and a silver medal at Youth Nationals. In 2018, the women’s pair took silver at Southwest Regionals and followed that up with a 4th place at Youth Nationals. 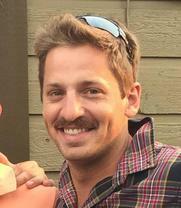 Joe began rowing in 2005 at Oakland Strokes. He went on to row at Oregon State University where he made two grand final appearances at the IRA National Championships. Joe has been coaching since 2014. He has a bachelor’s degree in history from Oregon State. Rudi started rowing with Artemis Rowing club recreationally as a middle schooler back when the team was still named Oakland Youth Rowing. Being the smallest person on the team, Rudi started coxing for the mens varsity in 8th grade and eventually started competing in lightweight events. By senior year Rudi was Varsity team captain and represented Artemis in the single at US Rowing Youth Nationals in Sarasota Florida. Currently Rudi is studying Architecture at the University of California Berkeley. When not studying or working out, Rudi can be found spending time outdoors, playing guitar or eating.